Join us in this years learning experience of what it is like to establish, maintain and care for a food forest. In this series of permaculture weekends at the Sivananda Yoga Ranch we will go over all the different maintenance strategies necessary to maintain a food forest, as well as learn about permaculture ethics and principles along the way. Have you ever bought a plant and wondered how someone grew it? Or better yet, how does nature keep growing more plants? Join Jared & Lala to learn some of nature’s secrets and how to save money, by propagating your own herbs, berries, and flowers. During this weekend, we will dive deeply into the permaculture principles: Obtain a yield & Use and value diversity. We will begin with an introduction to pruning and plant propagation, and actually get a chance to prune apples, pears, cherry, plums, and berries. During this workshop we will go over the desired forms for fruit trees and shrubs and go into the forest and try it out! We will prune gooseberries and you will be able to take some of the cuttings to try out propagation on your own! This workshop is for those with some or no practice in growing their own fruits or vegetables, its great for the forest, backyard or window farmer. Please bring rain jackets, outdoor boots and clothes for cold and rainy spring weather, as well as comfy clothes for yoga and Satsang. If you have any pruning tools, please bring them along too! We will go over a bit of sharpening and maintenance of tools. 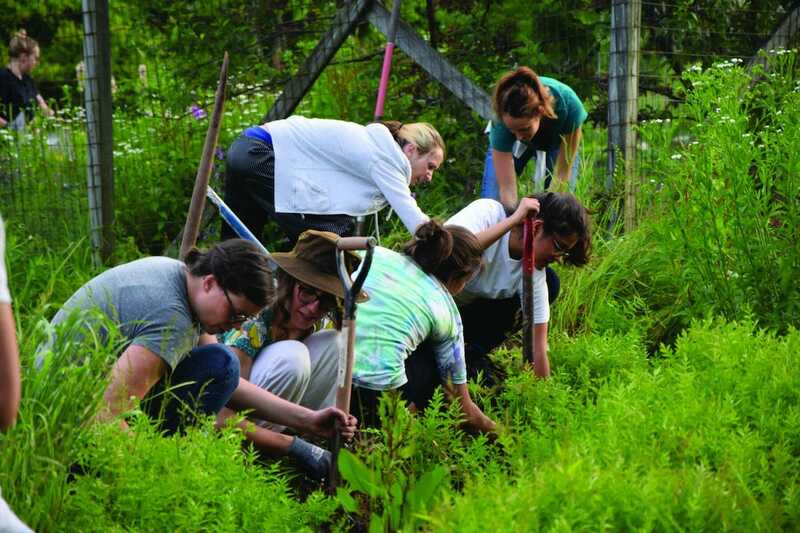 Based out of Saugerties NY, they are developing a network of communities and individuals who work in partnership towards resilience and abundance. Lala, with a background in fine arts and education, brings creativity and a DIY attitude to the table. Jared, with experience in design and love for architecture, provides a more technical direction. Together, they travel, learn and teach permaculture. Currently they are developing projects in Kenya, Colombia, and Upstate New York which include; seed/food revival education, community building and creating permaculture demonstration sites.